(Santa Ana, California) August 17, 2018 — Professional Coin Grading Service (www.PCGS.com) now will include the certification of PL (Prooflike) and DMPL (Deep Mirror Prooflike) in the grades for California gold fractional coins that qualify for those designations. “PCGS recently examined, authenticated and graded an amazing sunken treasure trove of 112 California fractional gold pieces recovered in 2014 from the fabled ‘Ship of Gold,’ the SS Central America, that sank in 1857,” said PCGS President Don Willis. “The quality of more than 50 of those coins merited the PL designation, the first time PCGS has ever given that description to any of the more than 27,000 California fractional gold coins we’ve previously graded. We are now making PL and DMPL certification available for any other submitted California fractionals that meet the criteria,” explained Willis. 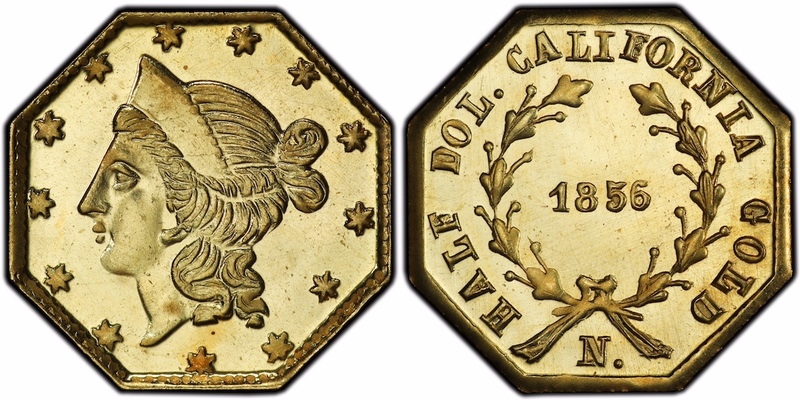 Additional information about this historic numismatic series is available free in the PCGS Population Report at https://www.pcgs.com/pop/detail/california-fractional-gold-1852-1882/1659 and also at PCGSCoinFacts, the Internet’s most comprehensive site for information about United States coins, http://www.pcgscoinfacts.com/Hierarchy.aspx?c=1659&title=California+Fractional+Gold.